As previously reported by Valkyrian Music (see here), Swedish metalcore act The End Of Grace will release a new single, “Beneath The Waves”, soon. 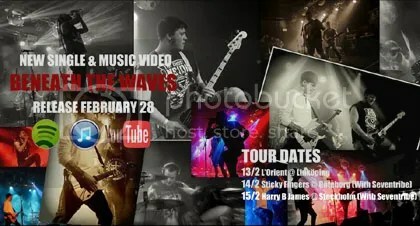 The date has now been revealed as 28th February and that a video for it will follow. Valkyrian Music will cover the Stockholm show.